When you decide to add events as a revenue stream into your business the normal thought process is to focus on ticket sales to make money. 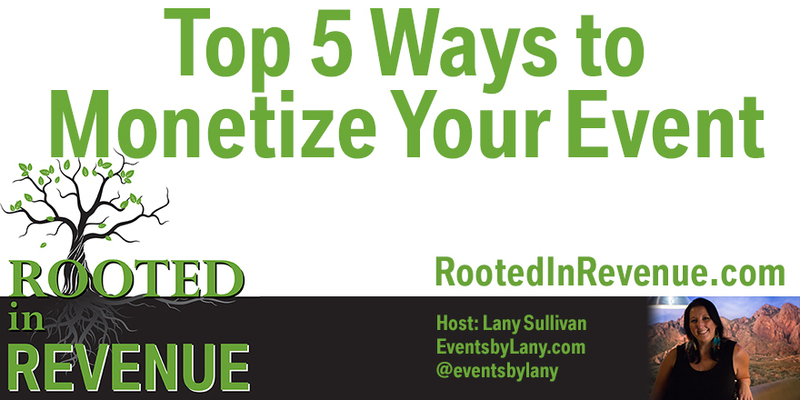 Here are the Top 5 ways to bring in event revenue that go beyond ticket sales. Sponsors - Creating partnerships and collaborations with sponsors is one of the most profitable revenue streams for events. Find companies and brands that are in alignment with your message and who have a similar target audience. VIP/Upgrade Options - Create high end options that will provide more benefits and value to your audience. Product Sales - Upsell your attendees to your next event, your coaching products, books, masterminds and more. JV/Affiliates - The best way to sell tickets is to have a solid business partnerships with influencers who will promote your event to their audience and increase the visibility of your event. Speaker Sales Splits - Allow your speakers to sell from stage and agree to a split of their sales because you are giving them an opportunity to be in front of your audience...a new audience.